Need vector banners? Download this free Illustrator set of handy vertical vector banner layouts with curving halftone dots. 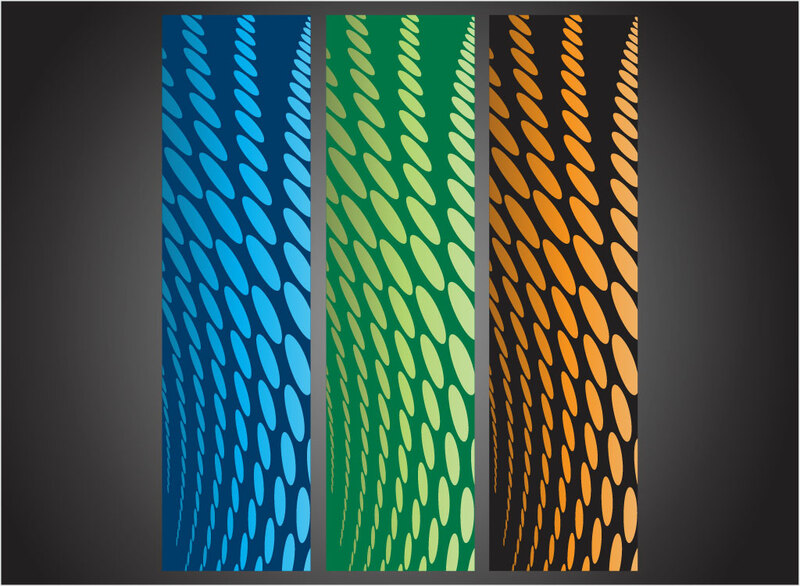 Great time saver banners in three different color schemes. Great to add to website side column, pop up banner or colorful flier. Free vector art download zip file contains AI, PDF and hi-res JPEG file formats. Tags: Backgrounds, Banner, Design, Gradient, Halftone, Header, Template, Web.